How many results-based management websites are there? How many web pages do field managers for a health project in India, a parliamentary development project in Cambodia, or a gender project in Aceh have to review before they can find something that will actually help them in their work? There are two related problems here: quantity - too many hits; and quality - too few that are relevant. The point of this blog is to sift through the vast array of potential sites, and to point out what I think might be helpful. Like it or not, results-based management, managing for development results, and similar approaches are frameworks that require increasing time and attention from development field workers. But few of these approaches are, in the way they are presented, user-friendly. For the past 15 years or so, I have been working, primarily in Asia, to try to simplify and demystify the bureaucratic jargon behind results-based management, jargon that intimidates some people, annoys others, and discourages almost everyone at the field level from using it. It is possible to cut through the jargon and make these processes usable, if we focus on simple language, if we make the frameworks user-specific, and if organizations are willing to spend a week or so clarifying what they mean and what they are expecting to do. My colleagues and I have had some success in this: helping people to use results-based management effectively and regularly in their governance programming and environment, education and rural development projects, throughout Asia. But many organizations can’t wait for onsite training; others can’t afford the cost of bringing someone in to work with them for a week; some simply need a quick introduction or refresher on how to get the RBM job done efficiently and effectively. In these cases, they turn to the web. I am asked sometimes by people I have worked with, which web pages I have found useful for different RBM-related purposes. This is why I have started this blog: to review web pages I come across in the normal course of my work, related to outcomes or results-based planning, monitoring and evaluation. My hope is that these reviews may prove useful to individuals or organizations seeking help from the web to manage their results-based management and similar - or alternative - processes. How many RBM Web pages are there? So, how many results-based management web pages are there? I say “web pages” rather than websites, because any website might have numerous individual pages with an RBM entry. One ridiculous estimate is that are roughly 112 million. That, at least, is what we get today if we do look for results-based management in a general search on the Google Canada site. On the world-wide Google site, [which you can usually get to after you are on your country-specific site, by clicking on the "go to Google.com" link on the bottom right] we get 113 million, including , all of the pages that have the three words somewhere on the page - but not necessarily in a coherent phrase. Given that, according to Google's keyword tool, there are only approximately 3,000 searches a month conducted world-wide using these words, there would appear to be a mind-boggling imbalance between supply and demand. Narrowing the Search to "Results-Based Management"
On Microsoft’s search engine, Bing, a general search for results based management (the hyphen is often ignored by the search engines) will return at different times anywhere from 171 million to 502 million pages, and an exact phrase search about 209,000. The numbers can change from minute to minute. On Yahoo search, which purportedly uses the Bing search engine, but which sometimes produces substantially different results, the returns were 322 million and 436,000 respectively. It is still worth looking at Yahoo search, because it remains #1 in some parts of the world, such as Hong Kong, and Yahoo is still a significant search tool in others. The search engines themselves may automatically narrow this down to more locally relevant results depending on a user’s IP country address. A search on Google Thailand, in English, will sometimes return 305,000 entries in an exact phrase search for results-based management and in Vietnam, 110,000. Searching for “RBM” as an abbreviation produces “only” 240,000 entries on Bing; 296,000 on Google; and almost 3.5 million entries on Yahoo Search. In all three cases, many of these are for Roll Back Malaria, various biomedical topics and bicycle manufacturers, to say nothing of the Reserve Bank of Malawi and at least one rock group. The highest ranked pages include many related to Mercedes Benz -- and one Saab parts site named RBMPerformance.com, a real disappointment to results-based management fans! 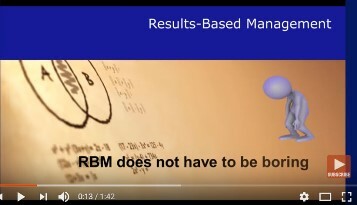 All of this perhaps explains why there are so many more searches for “RBM” (roughly 60,000 a month) than for “results-based management”. Even if we narrow the search further to something like "RBM Training”, we still get roughly (at the time of this writing) 2,500 entries on Google, 1,279 on Yahoo (636 on Yahoo Canada) and 709 on Bing worldwide. An exact phrase search for “Simple RBM" produces 167 entries on Bing, and 1,190 on Google, and in both cases most of the entries have nothing to do with results-based management. On the other hand, the same search on Yahoo worldwide gives 4. The more specific we can be, however, in specifying the search terms, the more useful sites we can find. Searching with an exact phrase of "simple results based management" as opposed to "simple RBM" for example produces between 4-9 results on all of the search engines, and all relevant. If you are interested in comparing search terms, try the "Search" box on the upper right corner of this blog's home page, where you can search both the links on this page, plus the web in general. From a different perspective, it is a mistake to think that all of the top rated sites for results-based management are actually the most useful. A web page may appear high in the search engine ranking because of the credibility of its links to another site. For example, many UN sites rank high in almost any search because of their multiple links to other UN agencies even though, in some cases, they may have only a page or two of potentially useful information. Many people, naturally, never go past the first page or two of search results, which means between 20-50 entries on average. 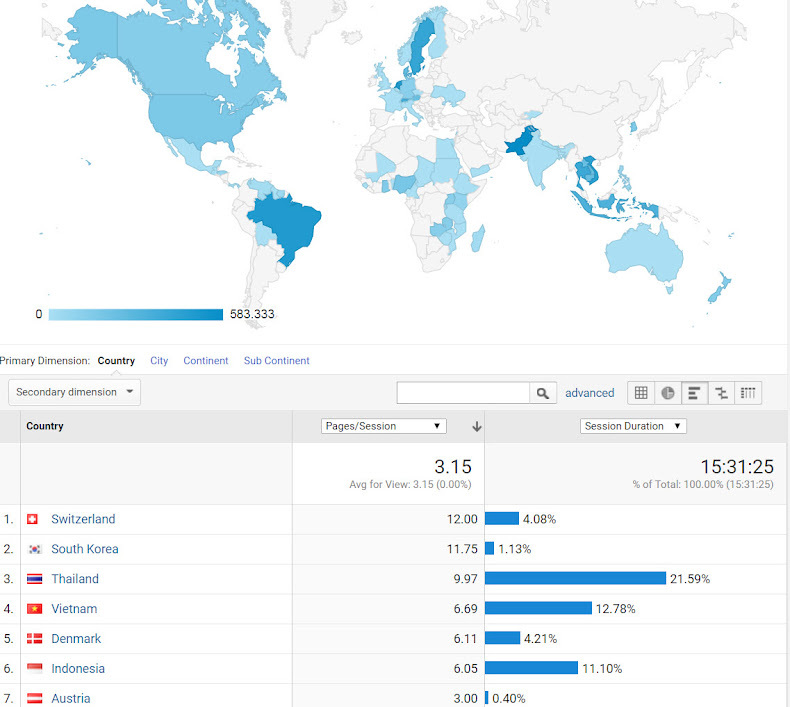 These users are missing some of the potentially most useful RBM sites. I know that aside from my own results-based management training site, which does from time to time turn up on the first page of results, there are other sites that can help in the search for a simpler approach to RBM or outcome assessments -- but many of those potentially useful sites are not listed anywhere in the top five or ten pages of search results. In many cases these pages don't actually mention RBM at all, but use terms such as the LFA (Logical Framework Approach) or Project Cycle Management, which are not exactly the same, but are certainly relevant, and potentially very useful. Development professionals obviously have different needs when searching the web for assistance on results-based management. For some, the need is for simple guidelines or concrete, implementable tools. For others, the goal is to find a more theoretical or systems approach. The primary focus in my own RBM training is to make results-based management simple enough that it can be used quickly and effectively by people on the implementation end of development programming, specifically in the context of their own work. However, where I see something of potential interest on the more analytical or macro-side of RBM, I will also deal with that. Other specialists in Results-Based Management who are designing results based planning, monitoring or evaluation systems. The bottom line: I know that there are some interesting RBM websites that don’t make the top 20, and I know that there are some very highly ranked websites that really have little of value on them for practitioners. I will be dealing with both in the weeks ahead. Any readers who have an opinion on a website are also welcome to submit the web address and their review of its strengths and limitations.